Sapa is famous for its landscapes of verdant rice paddies, rolling hills, Vietnam’s highest mountain, and trails in overgrown valleys. 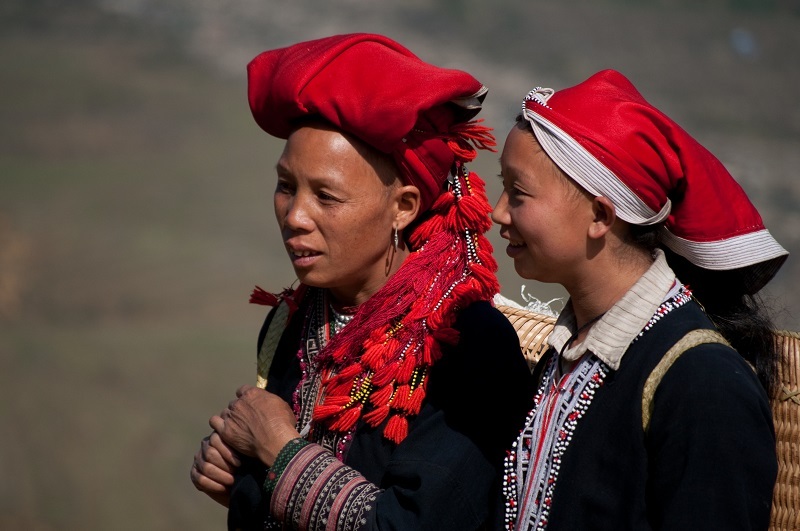 Sapa offers a variety of beautiful attractions for many tourists from all over the world. 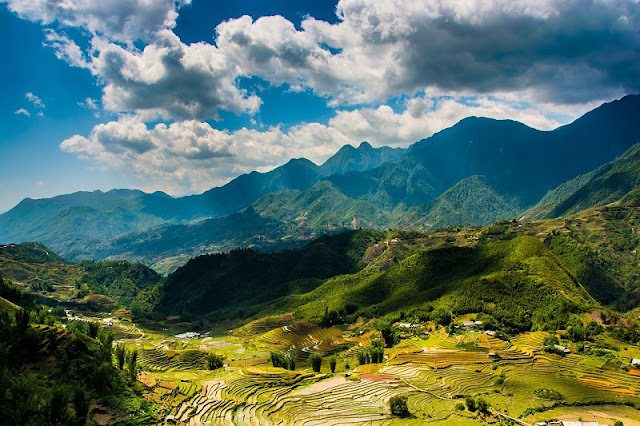 Sapa being the perfect vacation destination for people who like to take photographs! The scenery is amazing, and the colors are so vivid! 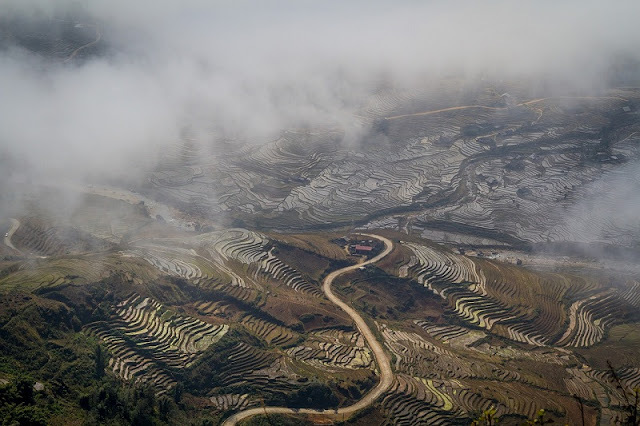 Sa Pa is one of the first places in the highlands to be discovered. Upon the arrival in Vietnam, the French built mansions on the high mountains of Sa Pa, alongside with Đà Lạt for the holidays due to the cool temperature they had. At present, these 2 places have many vintage-styled buildings for visiting, and sometimes, ‘ghost seeking’. A common thing of the Northern Highlands is that they are home to many Vietnamese ethnic minorities like Tày, Nùng, Dao, Thái, Mông, etc. The locals make their living by farming, specifically growing crops. What makes it special, is the contour farming method that they use. Along with the harvest, these ladder-organized crops, together, build up unique land structures, creating the enticing landscapes of Vietnamese mountains. Therefore, the highlands are best known for 2 things: the agriculture, and the picturesque mountain scenery that it has. Sa Pa is filled with attractions. You can have nostalgic goosebumps in the old mansions, or take a trip through the farmlands, which are colorized with the light yellow of malt crops in the harvest. But don’t miss one thing: the highest place of Vietnam, the Fansipan mountain peak, is located here. The so-called ‘Indochina Rooftop’ now has cable cars to transport, but if you want to be more adventurous, climbing up the mountains is another way. But remember to be well-prepared though, as danger and myths that lie beneath the rocks awaits. 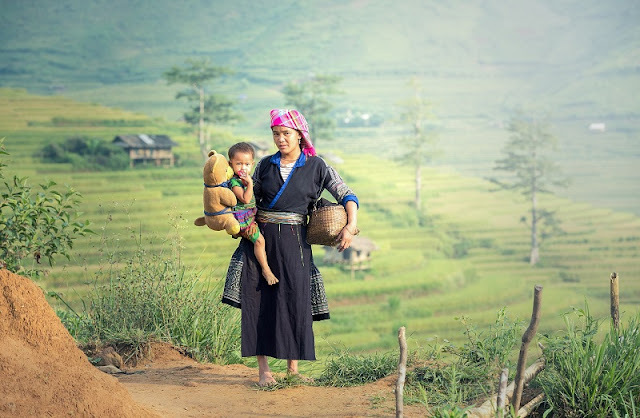 With breathtaking scenery, vivid colors from the living activities of ethnic minority groups, traditional careers and lovely children, Sapa provides endless inspiration for you to create creative beautiful pictures. Sapa is the first choice for photographers.